24 Mar 2011 (Thur): Finally I am in Cuba - the land of the Revolution!! Well I got up really early, at 4am. I packed the most of stuffs last night, so packing up was easy. I was brawsing Internetto check the news of the nuclear powerplant incident in Japan. Arund 5:30am Cecilia - the cleaning lady - came, so I returned the key and leaft. Claydy did not get up and say "Good-bye". Well, I expected that anyway. The security check was pretty tight before the immigration. My baggage was thoroughly checked by the security officer who asked me "Are you a military personnel?". Well my outfit was all in army green (including my backpack) and she found my "Che" beret, but which military personnel wears his/her uniform on his/her vaccation? Then there was another baggage check before boarding (everyone including flight clues was checked). I was not sure why the security was so tight. The flight from Medelin to Panama took about 1 hour and left and arrived on time. The view of Panama City from the sky was pretty good. High rised buildings, Puente de Las Americas, lots of big ships heading tothe canel. It was a bonus for me as the view was totally different from the one I saw from my GS. It was a 2 2/2 hrs flight to La Habana. I could see beautiful view of Carribean sea, Coral Reefs, Islands. emerald green water, etc. Then I saw the land of Cuba! The firm land speaded in front of my eyes and I could see the city of La Habana. FInally I came to the land of Revolution! The airport building was pretty simple, nothing fancy. 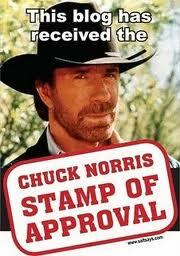 The boxes of immigration officers were no frill, those made me think "Cuba was a part of Soviet block." I guess because of my military like outfit again (I was wearing "Che beret tihs time)", I was questioned by the officers for sometimes (for 5 - 10mins?). Evertone went throgh the immigration but only I was left behind. But I could go through after the questions. Then I went throgh Custom without any problem and step out side of the airport. My first step on Cuba!! I took a big breath of Cuban air. Mr Sheep was very excited as well! Now I had to find a way to get to the city. Taxi was very expensive here (20CUCs). According to my info, there should be airport buses going to the city. But none told me where the bus stop was. In fact they said there wasn't any bus going to the city. But I found the cloud of people near the car park. I went there and asked people "Esta es el autobus a La Habana?" and the answer was "Si". So I waited there fot the bus. The bus came at 5pm and every man let all ladies go in first. It was nice culture to see. The bus was actually for workers at the airport only. But those people other than airport staff were on the bus. So the rule is the rule but the reality is the reality. The fare was 1CUP, but I had only 20CUPs note, the driver let me in without a penny. I felt sorry for that. It took about 1 hour to Capitorio - the former parliament house - near where lots of Casa Particulas located. But here was not the terminal. So I was wondering if I could catch the same bus back to the airport as tomorrow I have to see my friend Laura at the airport. With those girls I went to China Town (Barrio Chino) for dinner. There were around 10 restaurants on the street, and every restaurant tried to get us. We chose the restaurant recommended by the information note. The taste was not bad, but it cost me 5CUCs including a drink. It was expensive considering the prices in Cuba. Then we went to Casa De La Musica for night out. The show did not start until midnight. But once the show started, everone started to dance. It was a nice experience but I was a little to tired to have all night fever. We went back to the hostel around 2:30am. But where is my dear friend Tom?? 25 Mar 2011 (Fri): Reunion with Tom and Laura! Nice to meet you, Toko. Joaquina handed me a memo from Tom when I got up. He wrote he came here last night but I was not here. He is staying at another casa inroduced by Joaquina, 2-3mins away from here, and he will come here today. Then Tom came to see me! It had been 2 months since I saw him at San Cristobal de las Casa, Mexico. He had a friend with him, Toko, a Japanese girl from Aichi. They met in Xela, Guatemala. Then we went to buy lunch at a CUP shop recommended on the info note. The lunch box I had came with Moro (Rice with red beans, the Cuban traditional rice), BBQ Pork and some veges and cost 20CUPs (less tan US$1). What a bargain! It was prety gleasy but was not bad at all. I had a 1CUP "Refresco (cold drink)", but it tastedlike dish washng liquid and irritate my throat.. A cup of fresh fruit juice was2CUPs at next door, and it was really good. Then we walked around the old town of La Habana a bit. Laura's flight was scheduled to arrive at 4:30pm, so around 2:30pm I took P12 bus from the centro to the airport. I asked Joaquina's daughter how I could get to the airport cheaply and she told me to take P12 bus. But it does not go to the airport, it just goes near the airport, so I had to get off near the airport. It tok 1 hour there. She told me there should be another bus to the Internatonal terminal, but I was lazy to find a bus stop and wait for it, so I walked 30mins to the terminal. At the airport, those taxistas were trying get me on their taxis. I told them I was waiting for my friend and we will catch a bus back to the city, but they were so persistent and annoying. Some saw me walking from the bus stop to the terminal and said I was crazy.... 30 mins walk would be nithing for backpackers. I waited for a while and Laura came out from the arrival gate! It had been since Last May at Alice Spings, Australia. It was good to see my good friend again! We went to the bus stop for the airport bus, but none was waitng there and no bus showed up. So we decided to walk to the place where I got off P12 bus and take it back to the city. I like Laura! She seemed to be enjoing the idea walking for a long distance and catch a local bus cheaply. If Claydy was here, she would be complaining why we were not taking a taxi. If she was like Laura, we would not have broken up. On the way to the main street, we found a bus stop. We asked a guy if the bus goes to the city. He said it would go to the main street and we can catch P12 back to the city. So we got on the bus (1CUP). At the main street, we got off the bus and looked for a bus stop for P12. There was a guy standing near the intersection, so we asked where the bus stop was. He said "Follow me". He offered us peanuts and he stoped a car. He was talking to the driver and saying "They are the travellers but haveno much money. Can you make it cheap?? ", something like that. Ans he said "Get in". So we got into the car. He got in as well. He said "It is 1CUC each. Is it OK?". Of course it was Ok! How kind of him. I kind of worried that P12 bus would be so packed and with her big backpack, it wouldn't be nice ride to the city. 1CUC is 24CUPs, but it is stll much cheaper than 20CUCs if we took a cab. The car was a classic American car made in '50s. It was quite beaten up, but I was happy to experience a ride in a classic car. He was a scientist researching vaccinacion. He said he went to Munic, Germany - where Laura is from - for a conference before. At the plaza of the revoution, we took a few photos of monuments of Che and Camillo. The driver took us to Capitolio. We went to Joaquina's place, but there was no extra bed available, so she introduced us Casa de Odalis / Rafelito. The casa was near Opispo street and neat/tidy. It cost 25CUCs a room/night. With Tom, Toko, Laura, I went to CHina Town for dinner. We found a restaurant where we could pa in CUP, and we had fried rice for 20CUPs. It wasn't reat but all right. We went home early today. Today we walked around old part of La Habana. We had an appointment with Tom and Toko at 11am, so Laura and I walked to Melecon (sea side boulevard). We met a Cuban guy on the way and he invited us to have a drink. I asked if it had any alcohol in it but he said no. It looked like Mojito a bit, but different. He said "Cubans have this in the morning." But it had alcole and I got sick a little bit later. It was not hot in the morning, and walking in the city was pretty good. Cuban holiday. Tom and Toko joined us, and we went to Ingratera Hotel to buy bus tickets for Vinales. It cost 37CUCs, a little too expensive but we had no other choice. Then we walked along Obispo street where lots of souvenir shops, stores and restaurants located. Lots of tourists walked around here (yes, we were ones of them). We had soft serve corns at 3CUPs each. We found a market selling those Cuban goods there. We researched what we could buy and prices. Then we went to the museum of the revolution. There was "Granma (the yacht Fidel and Che sailed from Mexico to Cuba) " displayed at Memorial of Granma. We saw her from the distance. Laura decided to wait outside, so Tom, Toko and I went in. In the museum, there were lots of displays, including Trousers a pair of glasses used by Fidel,M-26-7 flags and patches, the beret Che wore, rifles used by Camilo and Che. If you are the Cuban Rebolution fun, you will love this museum. The building itself was used to be the presidential palace, so it was quite lavish. Here are some photos of the displays. Unfortunately, Camilo's hat was not displayed (under repairing). Then Laura and I walked to Cathedral. Actually we wanted to go to Revolution Plaza, but the bus was full of people and we gave up. We thought Cathedral would be much closer, but it wasn't. With the afternoon heat, we were so exhausted. We wanted to have Diet TuKola, but it was either not sold or not chilled... Well, in Cuba, you cannot buy what you want when you want. We had dinner in China town again. 27 Mar 2011 (Sun): Valley of Vinales and Carnival! The bus to Vinales was to be in front of Ingratera Hotel at 8:30am. But it was late for 40mins! It was Chinese made bus (Yutong). It looked very modern and the quality of interior was not that bad. The quality of made in China is really improving. With their low price tag, no wonder they will gain mare share in the world market. Japanese need to advance even more to sustain our position in the market. But I am not sure if it is a good thing to keep being one of the top players in the world. There was a guide on the bus. We did not want to have a guide and he was so annoying... Especially Laura did not like theway he talked. We made a few stops (at Souvenir shops, a cigar factory, and a view point overseeing Valley of Vinales). At the view point, there were stoles selling souvenir goods, and Laura was interested to buy paintings and looking at them. However, the guide said "We have to leave now!" So we had to get back to the bus. Laura asked him "Didn't you say we would have 5 - 10mins break here?" and he replied "Yes, but other people want to get to their hotel ASAP." When we arrived the town of Vinales, there was a lady (not sure why she had mustache) having a card with Tom and Toko's names. It seemed like the host mother in La Habana contacted the mustache lady. She said the rate was 15CUCs a room, so we followed her. But she said her house was now occupaied, so she was taking us to her friend's places. Carnival was going on in the town, so there were lots of stoles. It looked very interesting. Laura and I stayed in one house and Tom and Toko stayed in another house. We walked along the main street. There weren't much to see but we enjoyed the festive feeling. What made me surprised was banadanas with print of "American flag" were sold there. There were toys, key rings, accessories, and lots of "Che" goods as usual. Just looking at those stoles and goods, I thought there weren't much differences from Central Americas. We had moro (red bean rice) and other stuff on the street. A soft serve corn was 2CUPs and it was so good having it on a hot day. In the evening, dance party was going on at the central plaza. Initially the music DJ selected was not good and not many people were dancing. But soon everyone started to dance and had fun! I We wondered how those girls could move their hips that way. Toko was asked to dance with a Cuban guy and they danced together for a while. 28Mar 2011 (Mon): Riding horse for 4 hours... food poisoned by the pork sandwitch, I reckon... Puked in the middle of the night. Laura and I was thinking to hire bicycles and ride around the town and surroundings. But Tom and Toko wanted to ride a horse. They said it would be 5 CUCs for 1 hour ride. We thought tf the ride would be for just 1 hour, we could ride bicycles later on. So we took the horse option. My host mother cantacted the firm and a lady came to pick us up. Well, she did not really pick us up. She was riding a bicycle and we just followed her on foot. It took 25mins or so to get to the firm. At the firm, we met our horses, well, in fact, they were more like donkies. I named my "horse" "Valentino Rocinante", named after "Valentino Rossi" and Don Quixote's horse "Rochinante". Toko named hers "Workhorse Yukio" named after her deceased tortoise, Laura and Tom named theirs "Gonzales". According to the guide, we would ride around the valley, and it would take 4 hours! So it meant it cost 5CUCs for each hour!! We heard it wron at Casa. Our Spanish sucked. 's workhorse Yukio tried to defend the position. Then Valentino Rocinante bite Workhorse Yukio. It was fierce race!! 2 Gonzales were riding confortablly behind (But later Laura told me her Gonzales was always walking into the bush and she got a scare). Although it was fun, but as Sun got higher it got really hot and we felt exhaused. Poor Laura got sun burned seriously even though she put sunscreen on twice! How strong the Cuban sun was! Then we rode to a cigar factory, here the owner showed us how to roll a cigar and we could puff the cigar. Tom had a mojito and he looked so relaxed after that. After 4 hours ride, we were so exhausted. We still had to walk back to the town... Once we came home, we took shower and went to sleep straight. Dinner was served at Casa tonight (8CUCs). The main dish was grilled lobster (langostina). It was good! I woke up with acute pain in the stomach in the middle of the night. I had bad diarrhea... I had similar one in San Cristobal de las Casas, Mexco, so I took the piles I got from the doctor in Mexico. I tried to sleep but with sever pain I could not. I had nausea too. I ran into the bathroom and puked a few times. Well tomorrow morning we are going to travel to Trinidad. Can I servive the trip?? When I woke up (somehow I could fall into sleep), I was still very sick. Probably foods in Cuba do not suit her, Laura also wasnot feeling well. Breakfast was served, but I could not touch anything. Host mum said she could pack them for take away, but I did not think I could eat anything, so I said no. Host mum and dad gave me some medication (tonic water and some liquid), they I felt a bit better. Muchas gracias!! We walked to the bus stop. The bus was already there and Tom and Toko was waiting for us. As soon as I sat on my seat, I fell into sleep. As I took a pill to stop diarrhea, I did not need to stop the bus for an emergency, but I felt so weak - no strength at all. It was so cold on the bus. It was 7 hours ride to Trinidad. We made a few stops on the way. We had lunch break, but i could not eat anything. I just had a bottle of Spright. It was a long ride, but all I had to do was sleeping or taking it easy, so I could take a good rest. A Cuban movie was on. It was a crap but I watched it till the end somehow. WHen arrived Trinidad, a lady was waiting for us (The mustache lady contacted her friend here). As I would not have strength to look for an accomodation, so it was good for me to have the accomodation arranged. As soon as we got to the house, I went to sleep. Tom and Toko stayed at another casa nearby. Here the host mother gave me a medication. Muchas gracias! While I was sleeping, Laura went out for a walk. In the late afternoon, I felt a bit better, so with Tom, Toko, and Laura, I walked to the church. On the way, there were some shops selling paintings and those paintings were nice. I liked walking aong the street. But those people were bothering us by saying "Restaurant, restaurant?". I was not sure home many restaurants were around there, but we were asked "Restaurant, restaurant?" every 100m or so. I still could not have anything, and went to bed early. 30 Mar 2011 (Wed): I feel much better now. I had a good rest yesterday, so I felt much better this morning. There weren't much to see in Trinidad, but I liked walking around the town. But how many times we were bothered by "Restaurant, restaurant?"? We were so disgusted by those insensible people. Laura and I walked pass a school. There was a photo of Che on the wall. In La Habana we walked pass schools and it looked like every school had a photo of Che on the wall. So in the school, Cuban childrens are taught to be like Che still. 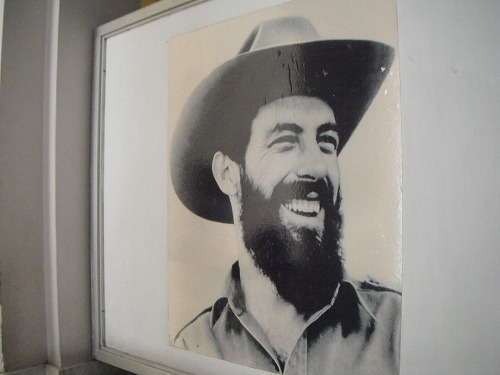 We saw some posters of Fidel as well (usually in CDR office). Fidel ordered not to make his statue or anything, so there weren't much posters, wall paintings of him as Che and Camilo. May be because Fidel is not that popular among Cuban people?? Laura said "You can order it on Internet." Yes, Laura, you are right, but I want to find it in Cuba! There was street market. They had those souvenir goods, paintings, wood crafts, key rings etc. We walked aroung the market and went to the church we went last evening. There was a band playing live music. Listening to nice musics and looking down the town, a nice way to spend an afternoon. Tomorrow, Laura and I will go to Cienfuegos. Actually we wanted to go to Santiago de Cuba, but it would be a long long ride and waisting our time. Why Cienfuegos? We passed there on the way to Trinidad. I was sleeping but Laura was looking outside and found the town was very pretty. Tom and Toko will stay in Trinidad one more day and will go back to La Habana. So we will see them in La Habana in a few days. The city of Cienfuegos is named after the revolutionary hero Camilo Cienfuegos. According to his friend Che, he was a very cheerful person and a military genius. Che respected Camilo so much and named his first son "Camilo". Cien + Fuegos translates to English "Hendred Fires". How cool. We caught 8am bus to Cienfuegos. Tom and Toko came and saw us off at the bus stop. Thanks, guys! The bus was as usual Chinese Yutong. It was 1 hour ride to Cienfuegos. The beutiful town along side sea shore appearedin front of my eyes. Oh, Cienfuegos is called "La Perla del sur - The pearl of the South". We got off the bus in centro. We did not have a booking for an accomodation here, so we had to find it by ourselves. We found 1CUP softserve shop and we had one each. Having the soft serve and walking down the main street, a Cuban guy came to us. "Are you looking for a Casa?" I replied "Yes, but we are looking for a Casa with a room 15CUCs a night." He said "Ok, follow me." Not sure why another guy (his friend) came along and walked to the Casa. After a short rest, we went out for a walk. The view of Central Park was pretty good. There was a mall and lots of street venders selling souvenirs. We enjoyed walking down the street and looking at those stuff. We had lunch at a CUP sandwitch shop. Usually CUP shops do not have any seat (we have to eat on the street), but this shop had seats and tables. We were looking at the menu outside (all prices were in CUP) The waitress called us in. I had a sandwitch (20CUPs) and Laura ordered Salad with toasts. When we asked for a bill, we were charged in CUCs! And it was very expensive (6.50CUCs). We argued why we were charged in CUCs when the menu was in CUP. The waitress said something but we did not really understand. But it seemed like she was saying because we are foreginers. We were unhappy but paid in CUCs. I should have argued more, but I paid in CUCs anyway. But I remember that a Mexican girl, Roccio, I met in Joaquina's place said that sometimes she could pay in CUPs as shop staffs thought she was a Cuban too, but other times she had to pay in CUCs in CUP shops as they realised she was a foreigner from her accent. So it could be normal for us to be charged in CUCs in CUP shops. But we felt realy bad with the treatment we received. Cienfuegos is supposed to be Camilo's city, but there is more presence of Che in this city. We saw lots of Che signs and photos. I heard Camilo is as popular as or even more popluar than Che in Cuba. But we see more Che. A sign states "Che, caballero sin tacha y sin miedo - Che, men without blemish and without fear", and another states "Tu Ejemplo VIVE, Tus ideas perdura - Your example lives, Your ideas remains". We walked to a park and sat under the shade. Laura got serious sunburn in Trinidad, so it was better to avoid strong sun during noon and afternoon. In the late afternoon, we walked around and found a nice place to see the sunset. There was El Rapido (the fast food chain in Cuba), so I ordered Pizza and a cup of coffee and looking at the sunset in the sea. THen a Cuban guy came to our table and said "I saw you guys this morning near my place. You guys were carrying backpacks and looking for a Casa. My place is really close to where you stay. Please come and join us." We looked at his table, there was his son (?) and a lady (his wife?) with more than half emptied Habana Club. Yes, they were drunk. I replied "Well, we are looking at the sunset." Then he said "Ok, after you finish the pizza, come to our table!" I smelled something dodgy here. Then we decided to leave. We needed to make up an excuse and I got one. "We have an appointment with our friends in centro, so we need to go now." He said "Oh, that'S to bad, but please come to my place tomorrow." And I said "We are leaving here tomorrow morning. Thanks for the invitation, anyway." And we left there. On the way back to our Casa, Laura and I was questioning ourselves "What was his intension?" We agreed that he would not be a "nice" person, but we had no clue what he wanted from us. He was wearing a gold chain, a gold watch, and his outfit did make him look suspitious. He did not make any sense either, so I guess it was a good decision not tofollow him. 1 Apr Mar 2011 (Fri): Walking around Cienfuegos. Seeing North Koreans!! Well, yesterday we told the "Cigar Factory" guy and his family(?) that we would leave here this morning, so I used Japanese towel as a bandana intead of Che baret, so that they would not find us. But Japanese towel could make me more standing out?? Today I felt much better, almost perfect condition. We took a walk from the morning. Those buildings around Central Park looked really nice. We walked where we could see the sea. When walking back to our Casa, we saw a long queue in front of Coppelia (Ice cream shop). Today I was well and we had prenty of time, so we lined up in the queue and waited for our turn. We had a former Soviet block experience here. We could see there were empty tables, but people in the queue were not served. Very inefficient way of service, but here is Cuba! Ensalad - 5 scoops of ice cream was 2.5CUPs (10cents)! Please take a look at the photo. It's unbelievable, isn't it!? No wonder people were queuing up. The flavours were vanilla (?) and orange (?). The quality was not really good, just like "Savings" and "Homebrand" quality. When we were walking at the mall looking at those souvenirs, there was an Aisan guy. We did not see any Asian beside myself, Tom and Toko recently, so we were looking at him. Then Laura and I found something on his chest and looked at each other. It was a pin of Kim Il Song, the father of Kim Jong Il. "He is a North Korean!" Actually we talked about North Korea last night as there was an article about the succession of the power from Kim Jong Il to his son Kim Jong Wun. What a coincident! It was the first time for me to see a North Korean from North Korea (well there are North Korean living in Japan, but they are usually came to Japan before Korean War or born in Japan). Well, North Korea and Cuba are both "Communist" states, so it was not strange to see a North Korean in Cuba, I suppose. Later 4 other guys came out from the Supermarket. It looked like 2 of them were high ranked officials and others were servants. We found a CUP shop selling other than Pizzas and sandwithes. I had set meal with deep fried fish for 30CUPs. It was nice to have a more proper meal. My appitite was gradually coming back. It was so hot in the afternoon. We found a cafe with air-cond and stayed there for a while. A cup of coffee was 25cents. By walking around, we could find many things new. We had dinner at the restaurant at our Casa. In the info note, many poeple wrote the food here was excellent. I had grilled pork and Laura had vegearian meal. My one was 7CUCs with a drink. It came with large serve and good. But it was not that good as described in the info note. We went for a wlak after dinner. Tomorrow we will go to Santa Clara, the city of Che. The cost is 6CUCs and it takes 1 hour. The bus is operated by Viazul (we had been taking buses operated by Transtur). The diaries from 2 APR to 7 APR 2011 are in Part 3.